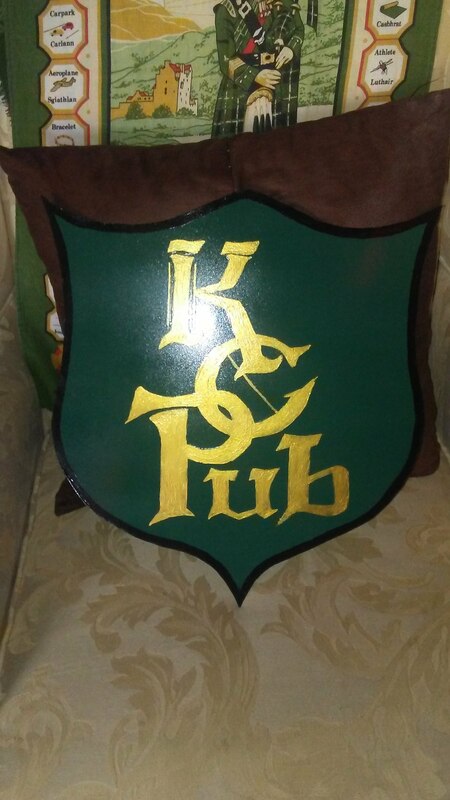 Thanks to Shane, the Kelty’s Corner Pub logo is a reality. Below is the leather patch he made for me. Below is the metal sign made by Shane – received on St. Patrick’s Day 2018. Next step, mount it on the front door. Below is the metal sign installed. KCPub metal sign mounted on door. 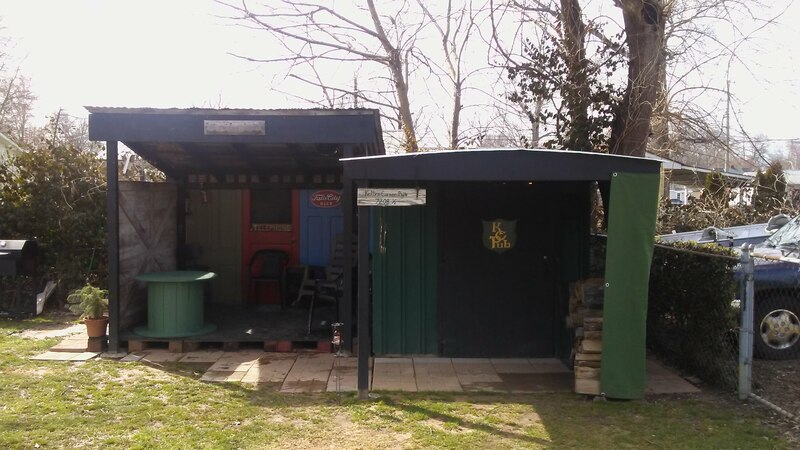 3/25/2018 Notice the Pub is still in ‘Winter Mode’ with the tarp up and the beer garden window blocked as it is still cold out. My friend, Rebecca made the t-shirts and is working on stickers. Below is a prototype.